Noren is a traditional Japanese fabric partition that is hung between rooms or outside an entrance. Noren is used for separation and protection from sun, wind and dust. But it also has other functions. 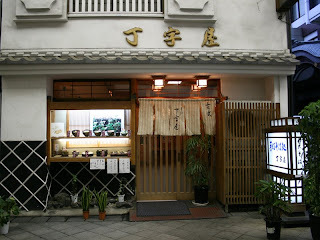 You might see noren used as a store signboard at the front of a Japanese restaurant. The noren will be printed with the restaurant’s name, trademark and/or type of food served (sushi, noodle & etc.). Noren also shows the symbol for a store/company printed with its name and logo. “Noren” can indicate business terms. Noren-wake: “Wake” means divide, split and part. A famous Japanese restaurant has many chefs. If one of the chefs wants to open his own restaurant using the famous restaurant’s name, he must receive approval from the owner or the top chef. This means that two restaurants are formed with the same name and food. This is a rare occurrence. If you encounter a noren-wake restaurant, the food will probably be excellent. 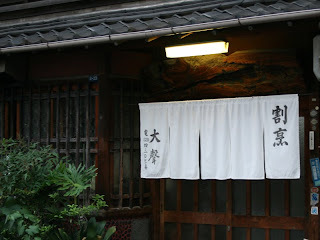 Noren-wo-uru: “Uru” means selling. 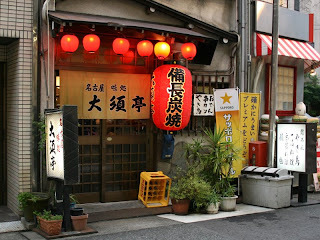 Noren-wo-uru means that the original business has been sold to a new owner. Noren-wo-yogosu: “Yogosu” means make it dirty. If a store makes a mistake, it will have a bad image. In that case, we say “noren-wo-yogosu”. Noren is the store’s face. A Japanese restaurant hangs the noren just before opening and then takes it down at closing. If you visit a Japanese restaurant around 3 PM, they might not have the noren hanging out. This means that food is being prepared. Perhaps now you can understand the importance of noren! hi! I just came across your blog googling "noren".Nice blog really.greetings from germany.jaa, mata. Pretty nice place you've got here. Thanks for it. I like such themes and anything connected to this matter. I definitely want to read a bit more soon. Pretty nice blog you've got here. Thank you for it. I like such themes and everything that is connected to this matter. I would like to read a bit more on that blog soon. I definitely want to read more on that site soon. BTW, pretty nice design that blog has, but how about changing it once in a few months? Pretty nice blog you've got here. Thanks the author for it. I like such themes and everything that is connected to them. I would like to read more soon.